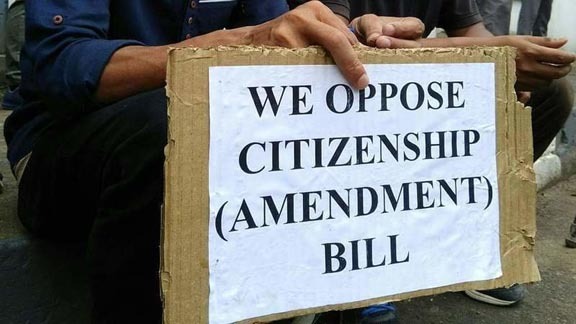 Some members of the lesser known Assamese Chinese community have lent their voices to protest against the Citizenship (Amendment) Bill. The members of the community inhabit some areas of Upper Assam and they have supported the people who are protesting against the Bill, reports The Telegraph. The community considers themselves a part of the Assamese society. Eugene Tham, a professional and third generation Assamese Chinese said that they had embedded themselves in the Assamese society and consider the state as their home so they wholeheartedly support the people who are protesting against the Bill, reports The Telegraph. Vicky Lee, an Assamese Chinese hailing from Makum in Tinsukia district said that if the Bill is made into a law, Assam may face a Tripura – like situation and will be problematic for the people of the state. Tezpur-based Wing Him Tham, a septuagenarian and a second generation Assamese Chinese said that the issue over the Bill is very serious and the agitations being carried out against the Bill should not hamper people’s lives. He also added that it should be the duty of the people to elect proper representatives so that their aspirations and needs are taken care of. The British brought people from China to work in the tea gardens around two centuries ago. Later, the Chinese migrants mingled with the Assamese society by marrying Assamese people and some of them even changed their Chinese surnames into Assamese ones.